Last month Ubisoft revealed that For Honor would be marching forth with another full 12 months of content. Year 3, entitled Year of the Harbinger, will include the usual four seasons, each of which will include a new Hero and other tweaks and additions. 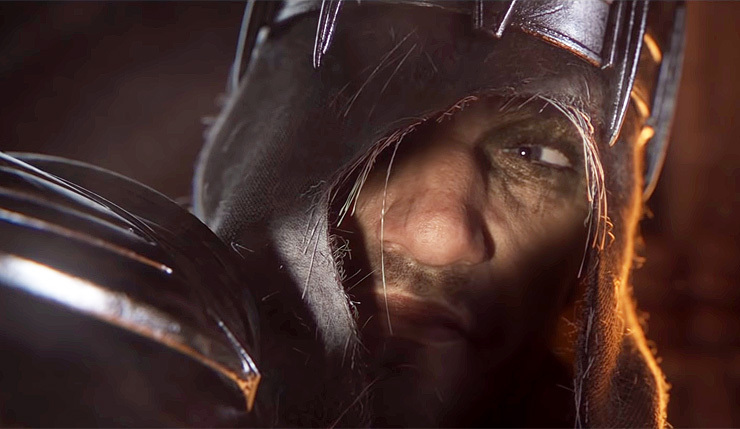 Well, now Ubisoft has unveiled our Year 3, Season 1 Hero – Vortiger, The Black Prior. You can check out a cinematic trailer for Vortiger, below. For Honor Year 3, the Year of the Harbinger, is almost upon us, and with it comes the introduction of a new deadly Hero – Vortiger, The Black Prior. Black Priors are heavy Heroes who fight with a giant kite shield and longsword. Once knights of the order of the Holy Balaur, the Black Priors were born when their leader, Vortiger was swayed by Apollyon’s promises of power. With her defeat, the order dispersed and disappeared. Now, the Black Priors have returned and fight for Vortiger, seeking to make amends for their past and pledge fealty to the Knights. A port town on the shores of Lake Eitrivatnen, Harbor marks a key strategic location that members of the Black Prior once helped the Knights defend against their enemies. Vortiger will be available for For Honor Year 3 Pass holders on January 31. Everybody else can purchase the fighter on February 17 for 15,000 Steel. The Year 3 Pass will you back $30. For Honor is available now on PC, Xbox One, and PS4. Anybody still playing Ubisoft’s brawler? Are you excited for the third year of content?